Contrary to popular belief, several major stock exchanges are not located on Wall Street. While the traders may be in the financial district, the actual trades are made via computers housed in data centers. 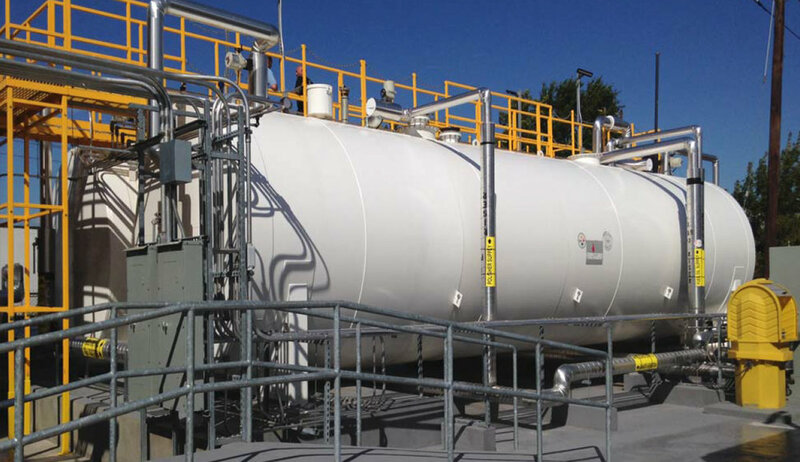 For one such exchange data center, M&E Engineers designed two 25,000 gallon above-ground storage fuel tanks for a Phase 0 (Legacy) Data Center, which is a Verizon facility. As part of the recommendation from the tenant, the above-ground storage fuel tanks were piped into the 5 individual generator belly tanks to assure a 72 hour fuel supply. M&E also provided engineering for switchgear and other power reliability upgrades. Data Center provides support and back-up archival operations for a variety of University uses. Due to demand for server space and the Hill Center Building’s limited infrastructure and expandable capacity, the Data Center found itself unable to meet many of the technological needs of the University and its researchers. Scope of work included a new water based cooling unit with a capacity of 200kW for non-critical computing, scalable to 500kW, modifications to its associated electrical switchgear, and relocation of the existing UPS system. New chilled water cooling plant consists of a 72 air-cooled chiller with economizer coils for free winter cooling, a CRAC unit, and 10 direct cooled racks through a rack mounted rear door heat exchanger. Project area totaled 15,000 square feet with a construction cost of $1.4M. The Justice Department since 9/11 has handled a significant increase in caseload of an increasingly sensitive nature. This project was to essentially double the size of their existing data center and modernize their existing data center infrastructure. Project included replacement of existing raised floor, sophisticated wire management, new multi-source UPS power distribution, and new redundant CRAC systems. All of this work was accomplished while the existing data center remained operational. M&E Engineers was the prime engineer for a new data center to house critical client data related to out-patient care of social services recipients, and coordinated information from the CDC (Center for Disease Control). The project included the creation of a raised floor environment, UPS support systems, redundant CRAC units, and FM200 fire suppression.